The authority of Dubai for all types of businesses in free zones inside UAE is undisputed. But there is at least one free zone in Abu Dhabi that is comparable to any related free zone in Dubai. 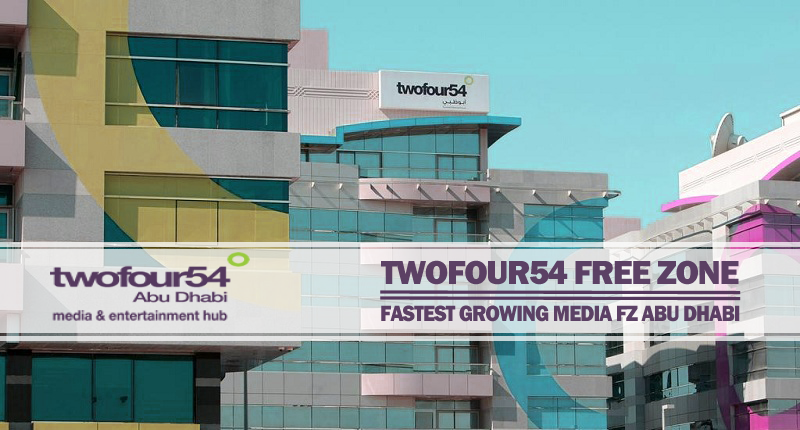 twofour54 is an exclusive free zone in Abu Dhabi dedicated to media industry. Since its foundation in 2008, twofour54 has achieved great achievement not only in UAE but also in the entire Middle East region. After 10 years of its establishment, there are now more than 450 local and international companies related to media and entertainment industries. These companies are related to TV, radio, film, music, gaming, mobile and publishing industries. Few of the big names that have chosen twofour54 for their services include: CNN, Fox, Thomson Reuters Foundation, Sky News Arabia, Bloomberg, Cartoon Network, National Geographic Channel, Oracle, Reed Exhibitions and several others. The presence of these giant media and entertainment companies clearly reveals the facilities suitable for media industry in the said free zone along with competitive charges. Following are few important benefits available in twofour54 that paved the way for establishment of hundreds of media companies including the above mentioned biggest names of the industry. All these four business structures have different fees stricture along with other conditions and requirements. Setting up your company or working as freelancer in twofour54 is not only very beneficial but also easy to implement. But there are few legal and general complications in the process that can easily be solved by a reputable UAE-based consultancy firm. We at Riz & Mona Consultancy have years of experience in dealing with matters related to free zones in Abu Dhabi, Dubai and other emirates of UAE. If you are connected to media industry, then twofour54 is one of the best places in UAE and Middle East for you. To make this process convenient and hassle-free, you can contact Riz & Mona Consultancy via our WhatsApp # 971-56-9971225.